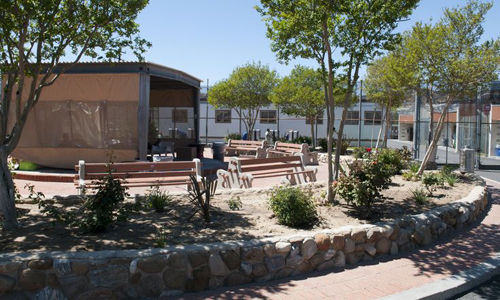 Pitchess Detention Center | Bail Bonds, Inmate Visiting Info. Is Someone You Care For Being Held At the Pitchess Detention Center? Do you know someone who’s being held in custody at the Pitchess Detention Center? If so, you’ve probably got a lot of questions regarding how to get them out of jail – and we can help! 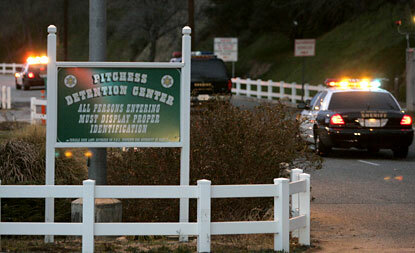 Our Santa Clarita Bail Bonds office is located near Pitchess Detention Center. If you want to bail out an inmate in custody at Pitchess Detention Center, give us a call any time of day or night. Our offices are open 24-hours a day, 7-days a week and 365-days a year. A friendly, knowledgeable and most importantly, a local bail bondsman is available to take your call at 661-299-2663. The Pitchess Detention Center is a large facility comprised of four separate jails housing both pre and post-trial inmates, as well as parole violators. Pre-trial inmates are eligible for release via bail bond, while post-trial inmates are not. The system can be pretty complex, but we’re more than happy to help you navigate through it. Pitchess North Facility is comprised of four modules: 4 dormitories, 8 disciplinary cells, a multi-purpose room (MPR), a medical office, visiting area, main control room, and 2 dorm control rooms. The dorms have a sleeping area, dining area/day room, and restrooms. 2 dorms per module share an outside rec. area as well. Its original design housed 90 men per dormitory, 360 men per module, and a total of 1,440 men for the entire facility. 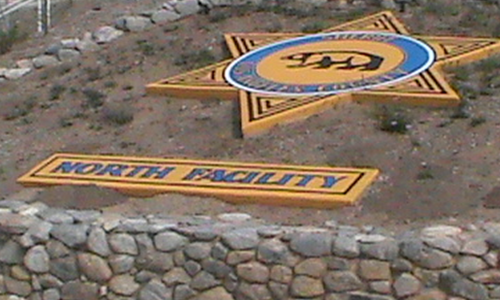 The North facility is one of four jails located on Peter J. Pitchess Detention Center, named after the former Sheriff of Los Angeles County, Peter Pitchess. The names of the other three facilities are East, South, and North County Correctional Facility. 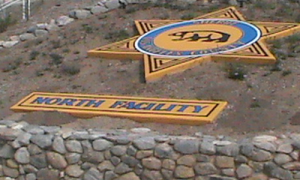 The Detention Center is located in Castaic, just off the 5 freeway, and is 2,620 acres. It used to be known as the Wayside Honor Rancho, and some people still refer to it by that same name. The South Facility of Pitchess offers an Education-Based Incarceration program developed by Sheriff Baca. It provides a wide variety of educational opportunities to all inmates. PDC South Facility, offers these programs under this EBI umbrella. Included are: MERIT, 5 Keys Charter High School, Coastline Community College, L.A. Works Vocational Training, ABC Program, Malachi Men, Hollywood Impact, and TUMI (The Urban Ministry Institute). The Inmates live in military style barracks which house approximately 80-90 inmates each. Each barrack has a “count box,” which is a white spray painted box in front where inmates stand for count. On weekends, inmates can receive visits from their family and friends. Counts, meals, phones, T.V. time, and M.E.R.I.T classes continue, but everything else will be put on hold. Also, Chaplains visit so the inmates can practice their religions. There is definitely a “freedom” inmates won’t experience in very many other jails. Visiting hours are Saturday and Sunday only, from 8 am to 2 pm, and visitations are limited to 30-minutes per visit, and two visits per week. To verify that an inmate is eligible for visitation, call 213-473-6100. *Children 17 and under will be counted as one visitor regardless of their age. A max of 3 visitors will be permitted at one time. NOTE: A visit status of “N” on their booking sheet, indicates that an inmate will be unable to receive any visits at this time due to classification, discipline, security, etc. Strict adherence to visiting rules and regulations are required for anyone interested in visiting an inmate at the Pitchess Detention Center. All visitors are subject to search while on the premises, and violators of the rules may find themselves barred from visiting, or subject to arrest, depending on the nature of the violation. You will be able to make an appointment with the inmate if his scheduling screen shows a list of time slots and visitation allowance. You may contact Inmate Information (213) 473-6100, to verify if the inmate visit status is correct. When an inmate is bailed out from Pitchess Detention Center, they will not be released directly from the Pitchess Detention Center facility. If they have become recently eligible for bail, we can help to quickly find out the current bail amount, any charges, new court information, etc., so you can begin the bail bond process right away. You may expect this process to take a while to complete, as males will be transported by bus to Twin Towers Correctional Facility Jail in downtown Los Angeles, and will later be released from that location. That said, the bail process from Pitchess is probably a lot easier than you think, and it all begins by giving us a phone call and providing the name, birth date, and date and any arrest details of the defendant you want to bail out. If not all of this information is immediately available to you – we can still help assist you through this process. We will use the information you provide to locate the defendant within the system and verify their eligibility for bail. After that, we have you fill out the short simple, bail bond application forms and indemnitor’s agreement. Last, we provide you with a receipt and dispatch an agent to the jail to post the bond. Your friend or loved one will be released once they are transported from Pitchess Detention Center, and processed out of the County jail facility. We’re local to the Pitchess Detention Facility, and our office is right across the street from the Santa Clarita sheriff station jail. As such, we’re able to meet you at our comfortable, local offices, your home or office, or we can handle the entire thing via phone, fax or email – whatever makes you more comfortable. We will beat any locally advertised price! Paying for a bail bond is easy, and we accept a variety of payment options which include: major debit/credit cards (Visa, Master Card, American Express and Discover) as well as cash, business or personal checks, money orders, bank account transfers and money wire. If you’re interested in financing your bail bond – let us know! We have a variety of flexible payment plans designed to fit most any budget. Speak to one of us now for additional financing information. Regardless of how you choose to pay, we’ll never include any additional fees, charges or interest. Additionally, we go over every aspect of the bail bond application forms with you so you know what your responsibilities are, when you’re paying, and how much, before you even sign. If you would like additional information, or would like to bail someone out of Pitchess Detention Center right now, please give Santa Clarita Bail Bonds a call. A licensed, professional and local bail bondsman is available 24/7 to immediately take your call. We can be reached at 661-299-2663 or toll-free 855-728-2245.